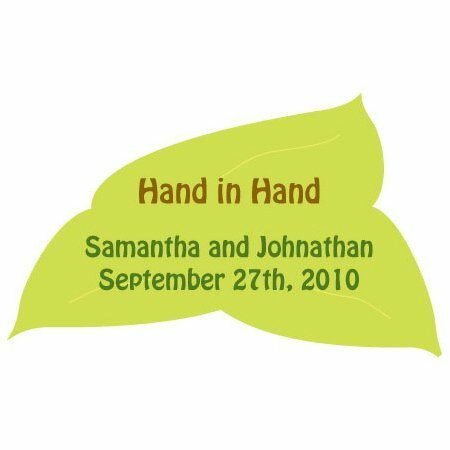 These leafy hand in hand stickers are a great way to customize any of our favors. 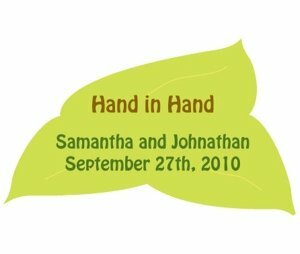 We add 2 lines of custom text that you can specify at checkout. You must order at least 36 stickers. 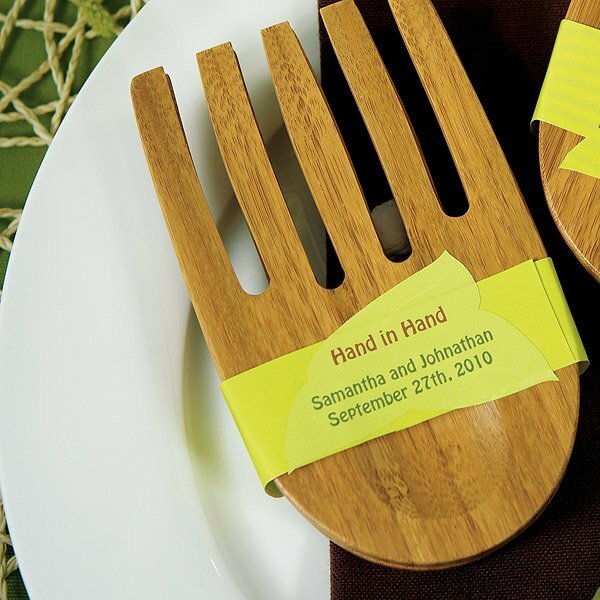 As shown in the optional photo, these stickers are a great way to personalize our hand-shaped bamboo salad server favors. Product dimensions: 2 1/2 x 1 1/2" H.